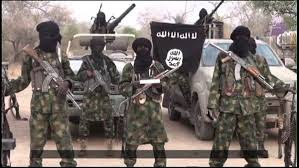 The parents and teachers of school age girls today said their children will remain at home time until further notice due to security fears following a mass kidnapping by Boko Haram jihadists. It will be recalled that the terrorists invaded the Government Girls Technical College in Dapchi, Yobe State, on February 19, 2018 kidnapping about 110 schoolgirls in replica of the abduction in Chibok in 2014 that caused global outcry. Security has been an issue in Dapchi since it emerged that soldiers had been withdrawn before the kidnapping and claims that warnings about Boko Haram’s arrival went unheeded. Some children who escaped the abduction vowed never to return. The school re-opened on April 30, 2018, one teacher, who spoke on the condition of anonimity for fear of official sanctions, said most pupils have stayed away because they were still afraid of being kidnapped. “In our school, we have a total student population of 989, and out of that number only 314 have resumed after we reopened. Of the 314 that returned, 299 are writing their final examinations and will be leaving school in July,” he said. Bashir Manzo, who headed the abducted girls’ parents association, said children were being kept at home because of a lack of security personnel. “There are only a handful of soldiers and vigilantes guarding the school, not more than 25 in all, a number grossly inadequate to protect our daughters,” he told AFP. Yobe’s State education commissioner, Mohammed Lamin, angrily dismissed parents’ concerns and said “everything humanly possible” had been done to make the school safe. “We deployed soldiers, police, civil defence paramilitary and vigilantes to the school providing security 24 hours,” he said. All but six of the Dapchi girls kidnapped in February 19, 2018, were returned to the school just over a month later. Five died in captivity while the only Christian among them, Leah Sharibu, is still being held. On May 2nd, 2018, The Sultan of Sokoto, Alhaji Muhammadu Sa’ad Abubakar III, considered the spiritual leader of Nigeria’s 74.6 million Muslims, who account for roughly 50 percent of the nation’s population, warned Christian leaders across Nigeria to be mindful of the way they talk about terrorism in the country. The monarch affirmed that more Muslims were killed by Boko Haram than Christians which even the former President Goodluck Jonathan had acknowledged in the past. “You don’t arrest or kill innocent Fulani men just like what had happened in Benue State when innocent Fulanis who were on transit were stopped and killed by some residents of the state. Another parent, Kachalla Bukar, said there were now even fewer troops in the remote town, which lies some 100 kilometres (62.5 miles) north of the state capital, Damaturu. The state government’s failure to show sympathy and provide moral support to families of the abducted schoolgirls had not inspired confidence, he added. 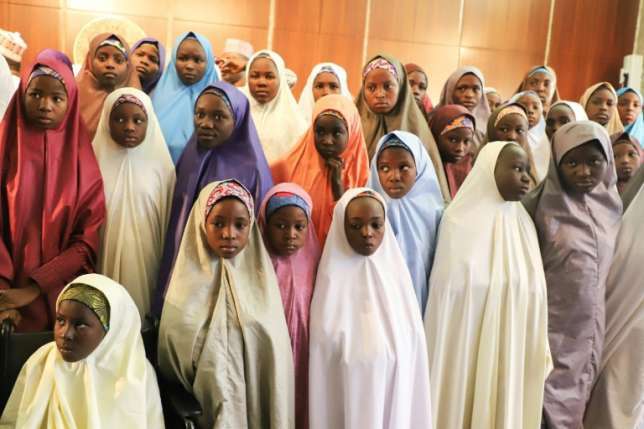 Nigerian President Muhammadu Buhari had visited the town but as yet, there had been no condolences sent from the state government to the families of the girls who died or support for the remaining girl in captivity, he alleged. Parents had expected improved security measures, including raising the school’s low perimeter wall, said Bukar. The jihadists, Boko Haram have destroyed schools across northeast Nigeria, which had poor levels of education even before the conflict began in 2009, particularly among girls. Last September, the UN children’s charity UNICEF said more than 2,295 teachers had been killed and 19,000 displaced while nearly 1,4000 schools have been destroyed. Manzo said UNICEF secured admission for 20 of the abducted girls into Tulip International College, a Turkish-run private school. Parents of the other girls were left to try to get them admission into other public secondary schools in the state but without success. Bukar said parents were losing faith with the authorities.